Sergeant First Class Ben Hilgert’s music career began with an unexpected run in with a stranger. 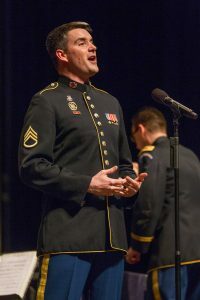 During his honors training program, the University of Indianapolis alumnus met a man who had just retired from the Soldiers’ Chorus, an ensemble in the Army Field Band. Photo contributed by Ben Hilgert. When Hilgert’s friend joined the Soldiers’ Chorus and talked to him about his experience, Hilgert said he was eager to join. The opportunity of serving the country appealed to him because service has been a part of his life since he was young, Hilgert said. Hilgert decided that this was what he wanted to do, and asked his friend to let him know when the next tenor position opened. It was not much later than one opened. “So he [my friend] helped me with the application process and the next thing I knew I was going to basic training,” Hilgert said. According to Hilgert, his musical journey began in high school, carried on into college and became his career. Hilgert joined his high school choir his sophomore year, and that is where he said he found his mentor, Aaron Coates, the director at the time. Hilgert said he had never thought about being a professional musician until he joined his high school choir. 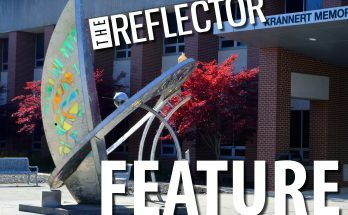 Growing up across the street from UIndy, Hilgert said he was familiar with the school, but Coates referred him to UIndy because he believed the music program was great. After graduating high school, Hilgert followed his mentor’s path and went to UIndy to continue his musical education. Hilgert said that his education at UIndy helped him prepare to join the Soldiers’ Chorus. Hilgert also credits his well rounded mindset to UIndy’s liberal arts education. He said he drew inspiration and guidance from his voice professors, then Adjunct Professor Steve Enzinger and Professor Kathleen Hacker, as well. 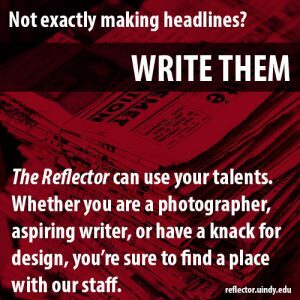 “All of my music education at UIndy played a very valuable role in being able to walk into the audition process and show up with the skills needed,” Hilgert said. Not only is a music education vital to being in an ensemble of the Army Field Band, being physically fit is also an important aspect, Hilgert said. Just like every other officer entering the military, Hilgert and his colleague, Staff Sergent and soprano in the Soldiers’ Chorus Michaela Shelton had to participate in a 10 week basic training. “When I was in school, I didn’t realize that I was going to be throwing grenades in preparation for a career in singing,” Shelton said. Hilgert said he believes that following his instinct and his heart lead him to this path of being a great performer. “Explore what is interesting to you, whether that is driving a tank or learning German.” Hilgert said.